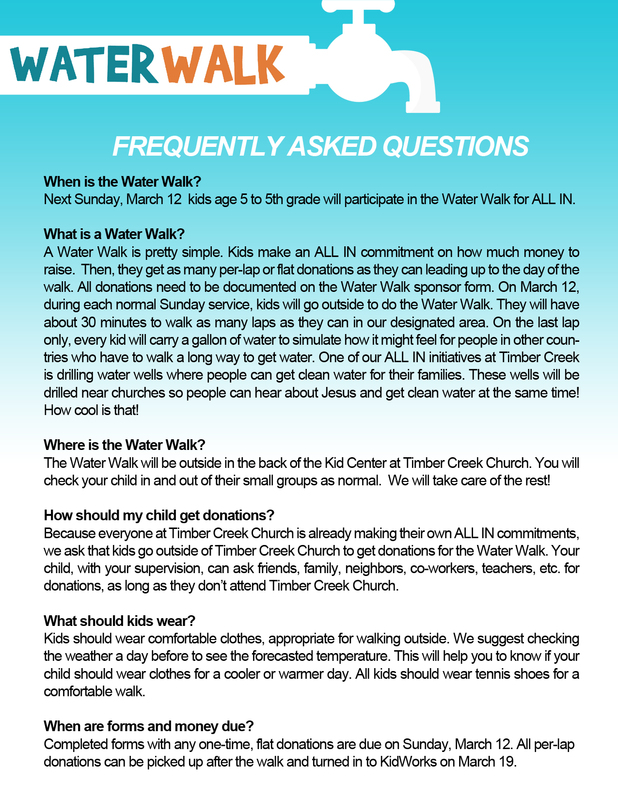 On March 12, 2017 we will have a Water Walk for kids age 5 - 5th grade. 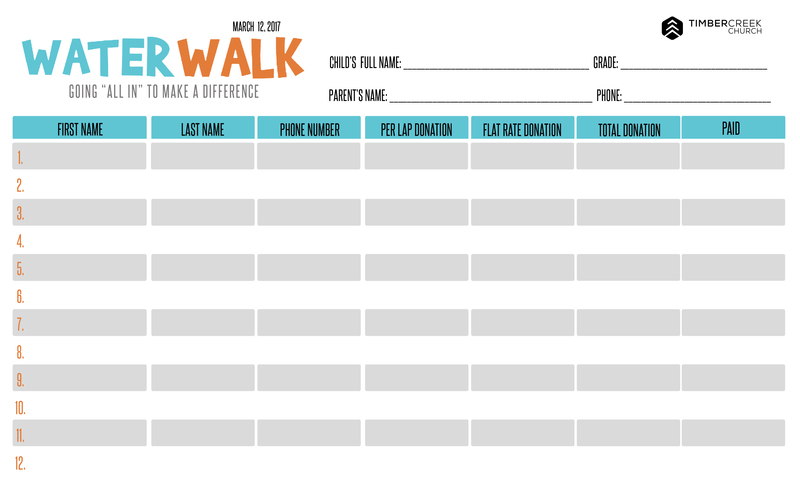 Click the file links below to download the information you need along with the donation form to be ready for the walk. 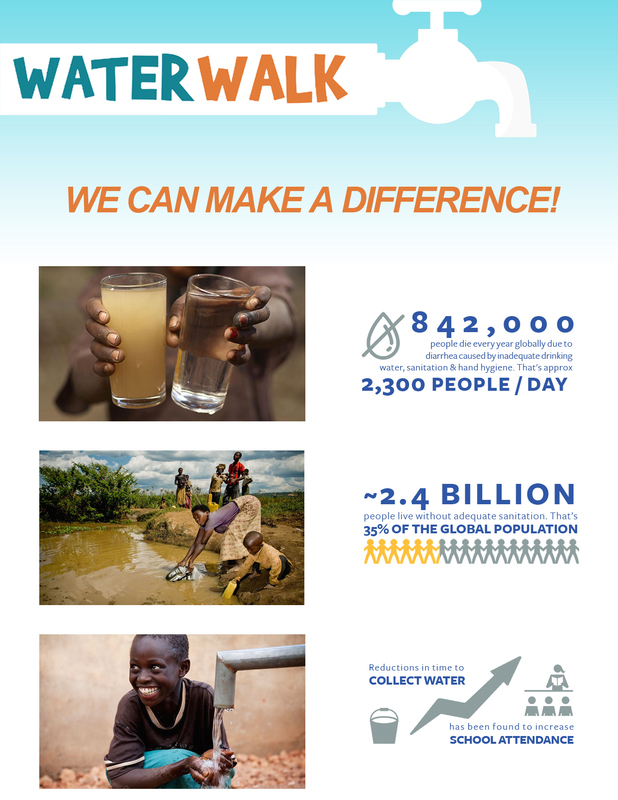 Let us know if you have any questions by emailing kmillen@lufkin.org.